Iceland is growing in popularity as one of the biggest vacation destinations as of late. People are starting to catch on that this little island is actually a beautiful country that has a variety of interesting places to see and things to do — hot springs, waterfalls, canyons, and lava fields. There’s so much to see and explore there, meaning there’s a lot to prepare for as well. 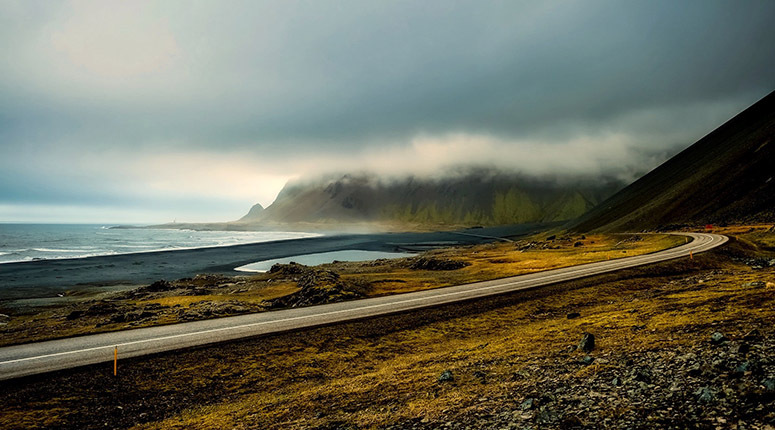 If you’re planning to take a trip to Iceland, you’ll want to make sure you have everything needed for the weather and all the adventures you’re likely to go on. And the reality is, it can be a little overwhelming trying to figure out what you should pack in your suitcase. To help you out, here are 10 things that are an absolute must for your upcoming trip to Iceland. With these items in your suitcase, you’ll be ready for whatever comes your way, whether it’s a day of exploring the landscape or relaxing in a hot spring. This tip is kind of a no-brainer. 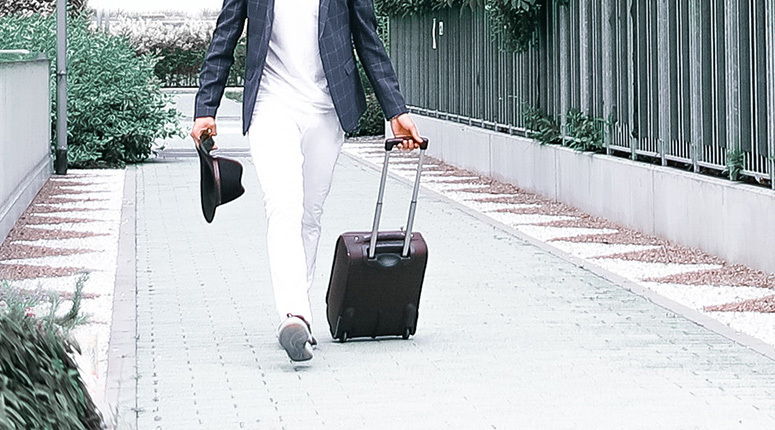 No matter where you’re traveling, you need to bring clothes that are appropriate for the weather you’ll be experiencing. However, if you’ve never visited Iceland before, you might not know what to expect. When you begin packing your suitcase, take a look at the temperatures and weather conditions for the time you’ll be there. If you’re venturing to Iceland in the winter, you’ll want to bring plenty of cozy clothes, as you could experience snow or powerful wind gusts. Thermal layers are really going to come in handy so you can stay warm no matter the temperature. You’ll also want to bring wool socks, a hat, gloves, and a scarf. A coat that’s suitable for both rain and wind will also be a must so you can stay protected against the elements. On the flip side, if you’re preparing to experience an Icelandic summer, you can completely ditch the wool! Instead, you’ll want to be prepared for lots of sunshine. If you visit at the height of summer (which is around June 21st each year), you can expect to experience 24 hours of sunlight. For that reason, you’ll want to make sure you’re prepared. Bring a hat to shade your face from the sun, sunglasses to protect your eyes, and some SPF to prevent getting a sunburn that will ruin your vacation. And don’t forget a rain jacket since rainy days are frequent in the summer months. Here’s a great breakdown of the climate in the different months/seasons. No matter what time of year it is, a swimsuit will always be a must on your packing list for Iceland. Even in the winter, you can still enjoy the many hot springs that are located throughout the country. A swimsuit will also be great if you’re planning to do some swimming at the pool or relaxing in the sauna. 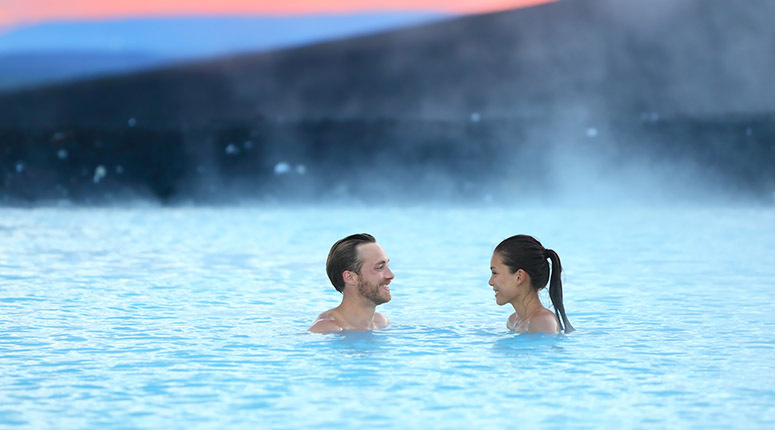 The Blue Lagoon: As one of Iceland’s most popular attractions, one step into The Blue Lagoon and you’ll see why. This large, heated lake is known for its rich skin nourishment. It’s been named the top 25 Wonders of the World by National Geographic and awarded one of the top 10 spas in the world by Condé Nast Traveller. The Secret Lagoon: Also known as “Gamla Laugin”, The Secret Lagoon is the oldest swimming pool in Iceland. What makes this a fun visit, beyond the hot spring itself, is that it’s also home to little geysers. Lake Mývatn: Looking for more than just a hot spring experience? Lake Mývatn has you covered. This cozy geothermal pool is surrounded by an incredible landscape, making it an experience you have to see with your own eyes to believe. 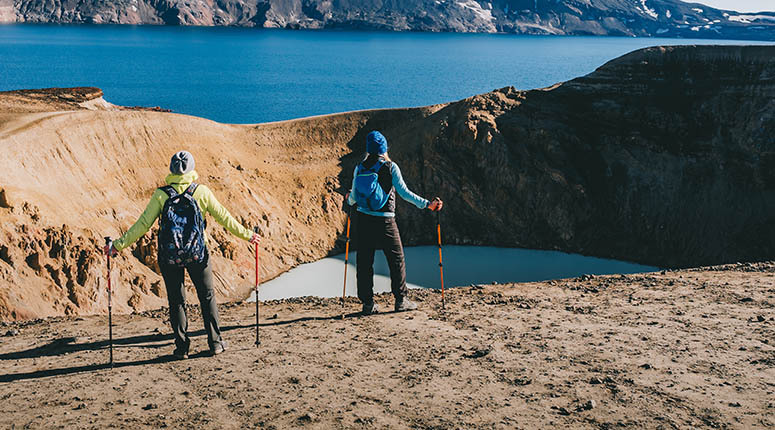 Is hiking on your to-do list while in Iceland? If so, you’ll want to make sure you bring the right shoes. A good pair of hiking shoes will protect your feet and make your trek much easier. This doesn’t mean you need to invest in an expensive pair of hiking boots though. 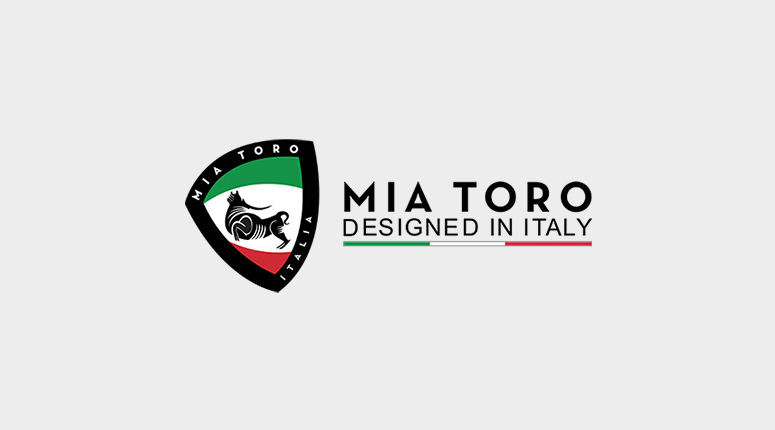 However, you will want something that’s comfortable, suitable for various terrain, and waterproof for rainy days. Prior to your purchase, think about what type of terrain you’ll be hiking on. You can even review the trails beforehand. This will give you a better idea of what to pack. If the trails are steep and you’ll be stepping on rocks, brush, and more, consider a sturdy boot such as Lems Boulder Boot. These shoes are built for three things — packing well, being able to take a beating on the trails, and looking great. They’re also incredibly light at only 9.9 oz. 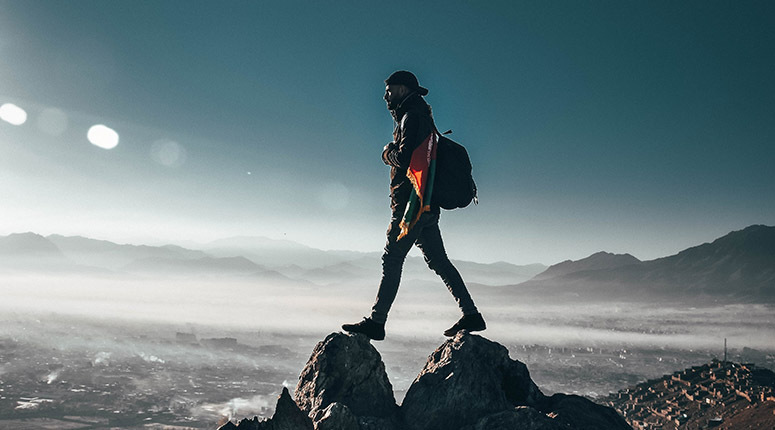 On the other hand, if you’re only looking to do some light to moderate hiking on smaller trails, you may be able to get away with bringing your sturdiest walking shoes. Merrell’s Moab line is a great option as it’s made from a durable suede leather and mesh material (allowing your feet to “breath”). 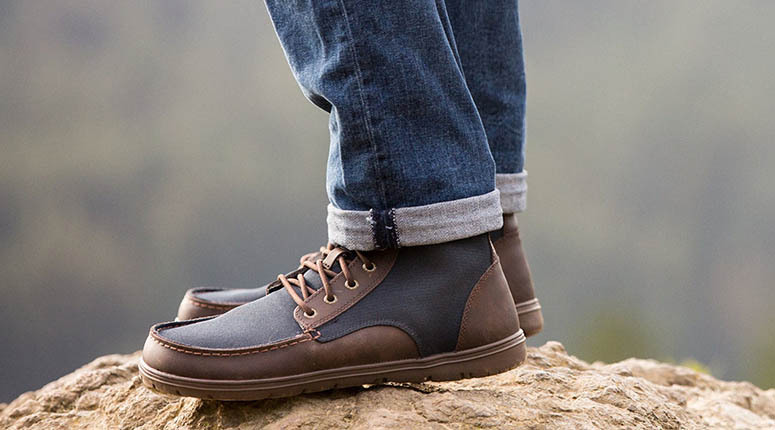 They’re also built to prevent blisters on longer walks/hikes. As mentioned above, summer visits to Iceland mean you’ll experience 24 hours of sunlight. That’s going to make sleeping tough when you have the sun shining through your hotel window at 2 AM. While many Iceland residents purchase blackout curtains for this reason, there’s no telling whether or not your hotel will have them. Of course, you can always call ahead to find out in advance. But it’s always better to be prepared! Bring along an eye mask for your trip. It’ll allow you to block out the midnight sun so you can get a peaceful night’s rest. Otherwise, you might struggle to get enough sleep, which could really ruin your trip if you’re tired all day long. If you’re looking for the best one to bring on your trip, we recommend the Lonfrote Deep Molded Sleep Mask. Unlike other sleep masks that tend to wear down over extended use (i.e. fabric falls off, velcro wears, elastic band breaks) the Lonfrote mask is built to a much higher standard. We personally use it every night to sleep! When packing for your upcoming trip to Iceland, make sure you throw a bottle of SPF into your suitcase. 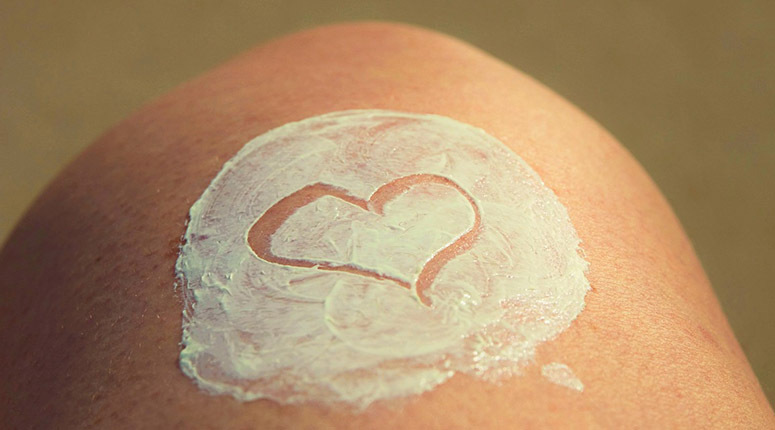 In the summertime, you have many hours of sunlight and will need to be protected in order to avoid sunburn and damage to your skin. And since the sun shines in the winter too, you’ll still need sunscreen then as well. Two other winter skincare essentials include lip balm and moisturizer. Winters in Iceland can be pretty brutal and cold, largely because of the wind. Spending any time outdoors in windy conditions can leave you with chapped, irritated skin that’s going to be uncomfortable. Bring along some lip balm to prevent dry, cracked lips and a facial and body moisturizer to keep skin hydrated. Iceland is a land worth exploring. And to properly explore, you’ll need to plan day-trips. For days of exploring, you’ll likely have a lot of things you’ll need to carry with you. You might want to bring along a change of clothes, your phone, a power bank, water bottle, snacks, and even a camera. It’s a lot to carry around in a handbag, so it’s much better to bring a travel backpack instead. It’ll have room for all of your belongings, plus plenty of pockets to keep things organized. Plus, it’ll be more comfortable than carrying a handbag on one shoulder. When determining which travel backpack to bring, remember this doesn’t (and shouldn’t) be the same as the backpack you use to fly with. Why? Simply put, you don’t want to have to unload that backpack just to go on a day trip. 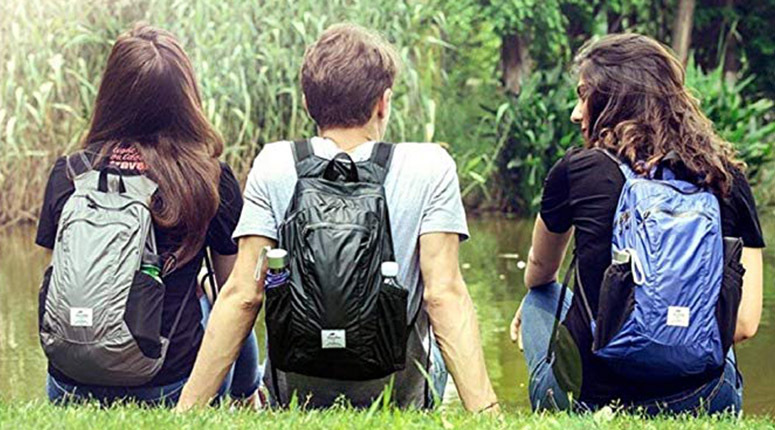 Rather, you want a smaller and more lightweight backpack you can put some daily essentials into for exploring. 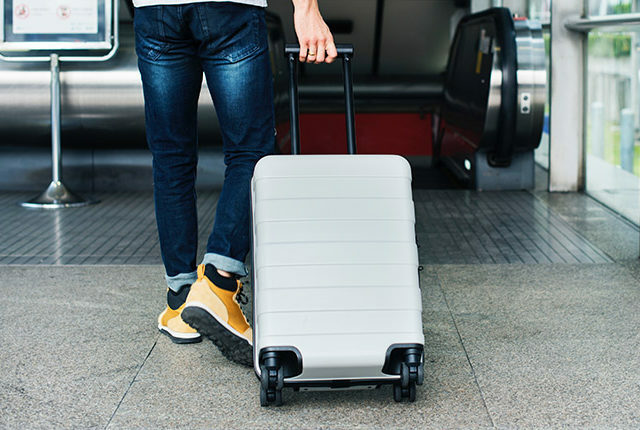 Consider any backpack labeled “ultralight” or “packable” as these will easily fit into small carryons or checked luggage without taking up much extra room. Since you may be around a lot of hot springs (and it could rain) you may also want to also look for a backpack labeled “waterproof” or at least “water resistant”. This Sunuo backpack is a great option. Not only does it check all the boxes of being lightweight and waterproof, it also packs up into the size of your palm for easy storage. Yes, we’re pretty much all glued to our smartphones. But isn’t there something so satisfying about using an actual camera to take pictures? If you want to capture some high-quality photos to remember your time in Iceland, bring a camera along with you. It’ll be a great reminder to snap a few shots along the way. Now, this doesn’t mean you need to bring along an expensive, bulky DSLR. Of course, you totally can if you want. However, a small point-and-shoot camera will absolutely get the job done. Or you can choose to bring a GoPro. It’s compact and it’ll allow you to get some amazing underwater shots as well. Here’s a great guide on how to choose a camera for your upcoming trip. While exploring Iceland, there’s a good chance you might be on your phone a lot. You could be pulling up restaurant recommendations, maps, and even snapping all kinds of photos along the way. All of these things are going to drain your battery. And you definitely don’t want your travel lifeline to die when you’re out and about. If you’re planning a day full of exploring (like a hike for instance), bring along a power bank to charge your phone and make sure it’s ready to go before heading out. While it may be tempting to go out and purchase the longest lasting power bank for your phone, consider that it will also be the largest and heaviest. That means it will take up more room when packing and weigh you down more in your bag when walking around during the day. 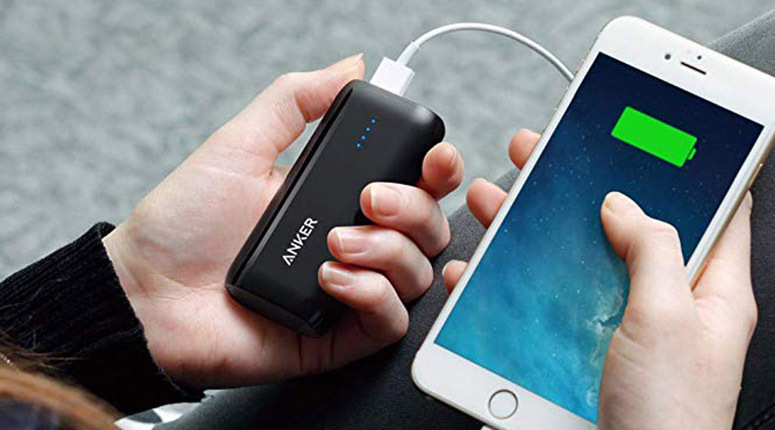 Go for a smaller size power bank from a reliable brand like Anker. This Anker Astro E1 is only around 4 oz, giving you the ability to even carry it in your pocket during the day. Electronic devices in Iceland use a European-style plug. So, if don’t already have a power adapter that’s suitable for European outlets, now is a great time to buy one. The outlets in Iceland require 220 volts, 50Hz. Instead of hoping the hotel has one you can borrow, bring your own so you’re ready to go at a moment’s notice. Also, if you do forget, you may be forced to purchase a wildly expensive one in the airport our at a nearby touristy store. 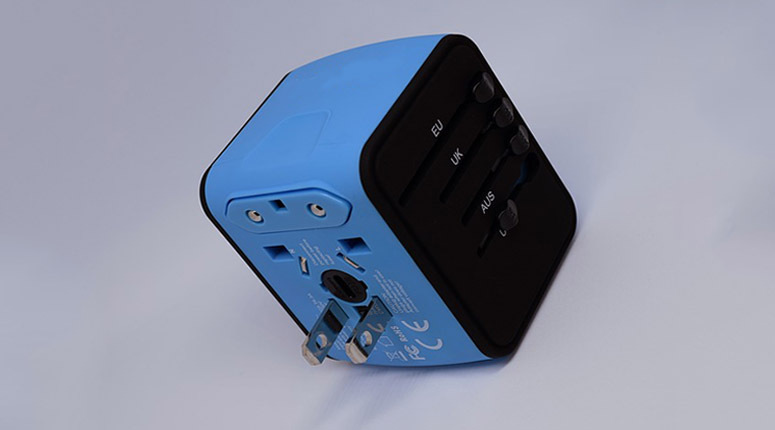 To be honest, any European to American power adaptor will do but you may want to consider buying one like this one that has multiple outlets and USB charging ports. Okay, so this isn’t something you’ll literally pack in your suitcase, but it’s still important for any kind of traveling you might be doing! Travel insurance will protect you if your luggage is lost or stolen, but it also comes in handy for flight cancellations and any medical expenses you might incur during your trip. The hope is that you’ll never have to use it, but at least it offers some peace of mind for you while you’re in another country. 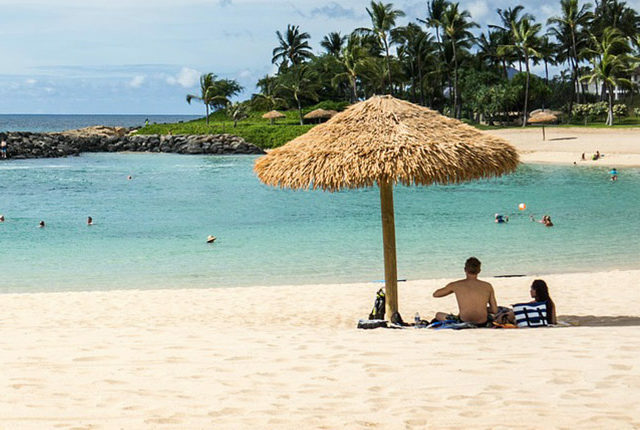 Here’s a great guide on how to choose the best travel insurance.